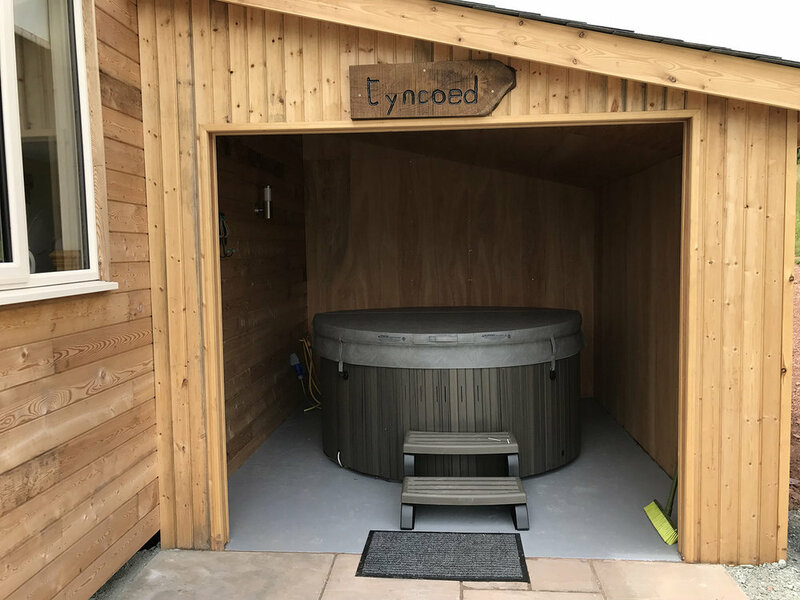 Our two luxury cabins, Tynant and Tyncoed, are nestled deep in the Welsh countryside - in the bottom meadow on Cwmachau Farm, just north of the Brecon Beacons. 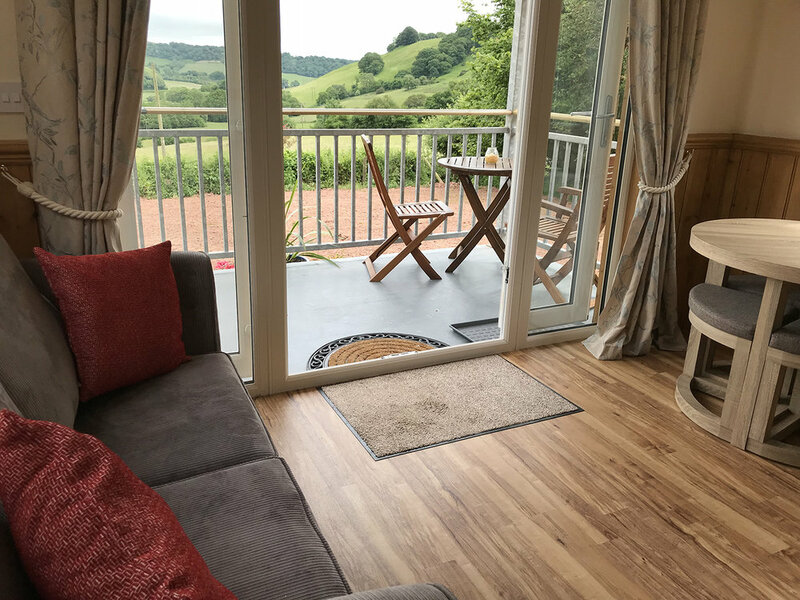 Take in the stunning views of the Honddu Valley from your cabin’s veranda, unwind in the hot tub or take a walk around our working sheep farm to soak up the scenery. 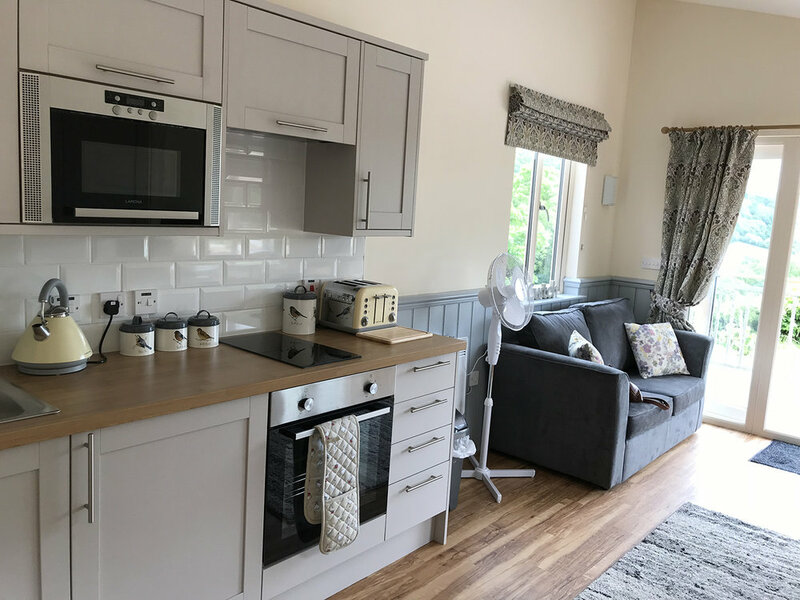 Whether you’re after an active break, or just some time away from it all, your hosts Chris and Jackie Davies are full of local knowledge and will do all they can to make your stay enjoyable. 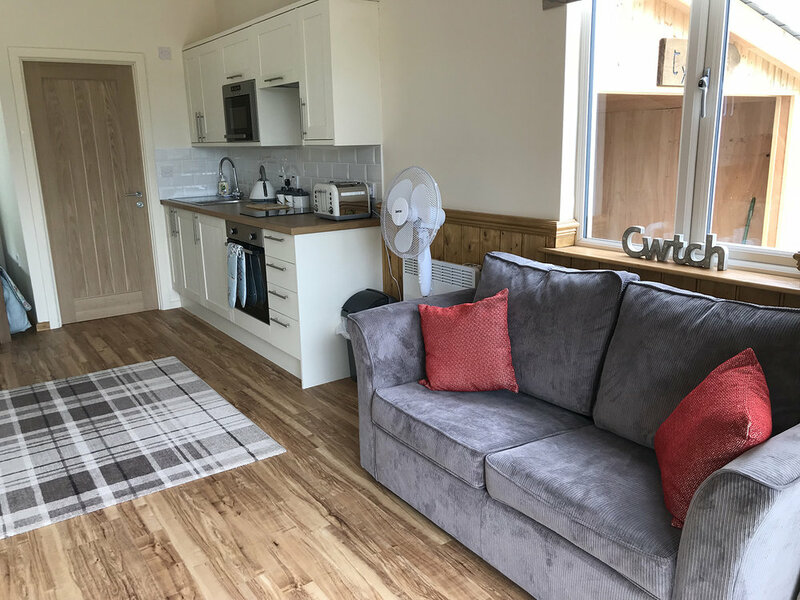 Our cabins are perfect for couples or a small family, sleeping 2-4 in a double bed and sofa bed. 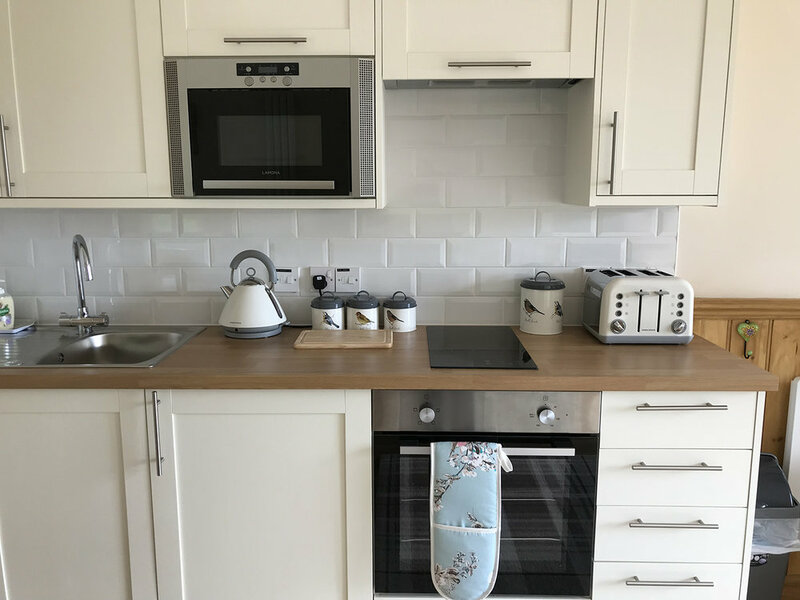 Each is equipped with a small but perfectly formed fitted kitchen (complete with oven, hob, microwave and fridge), shower room, dining area, sofa and TV. French doors lead to a veranda with table and chairs, where you can sit and soak up that view on warm summer evenings. 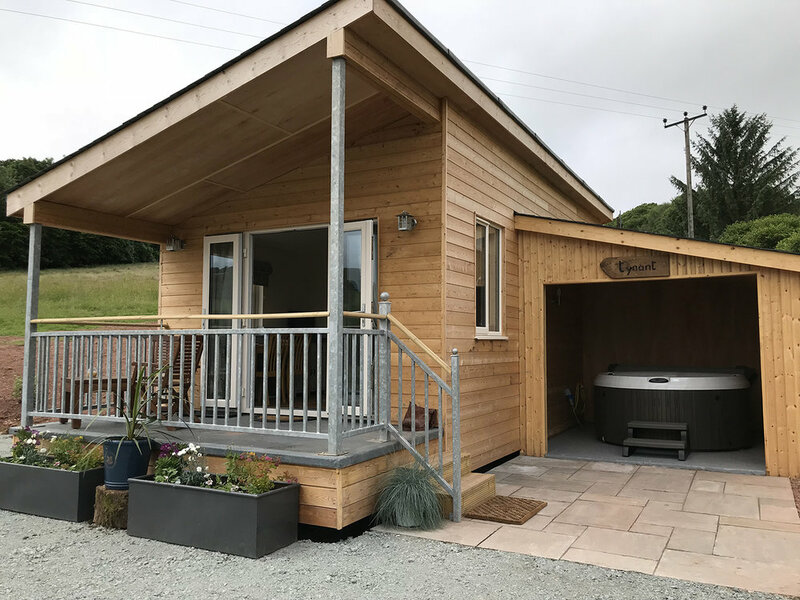 Each cabin has its own electric hot tub just outside, lie back in the bubbles and watch the sheep grazing on the hills and the river snaking its way down the Honddu valley below. There are many beautiful walks around the farm and beyond, taking in stunning views of the Brecon Beacons, Black Mountains and Epynt hills. Situated half way between the pretty towns of Brecon and Builth Wells you won’t be short of things to do and places to explore, with events such as the Hay Festival of Literature and the Arts, Brecon Jazz, Abergavenny Food Festival, Welsh Lavender Farm and the Royal Welsh Agricultural Show right on your doorstep. Peak season: £444.00/week. Short stays from £283.00/2 nights. Low season: £323.00/week. Short stays from £226.00/2 nights. Directions: From Lower Chapel on the B4520, continue for one mile passing through Catle Madoc. Turn left at the first by road junction (half a mile out of Castle Madoc) and follow the lane up. Turn right where you see the sign for Cwmachau Cabins. Booking your stay with us is easy. Simply check the availability calendar on the left, and then phone us on 01874 690342 to confirm your booking. Alternatively, complete the booking enquiry form below and we will get in touch to confirm your dates.